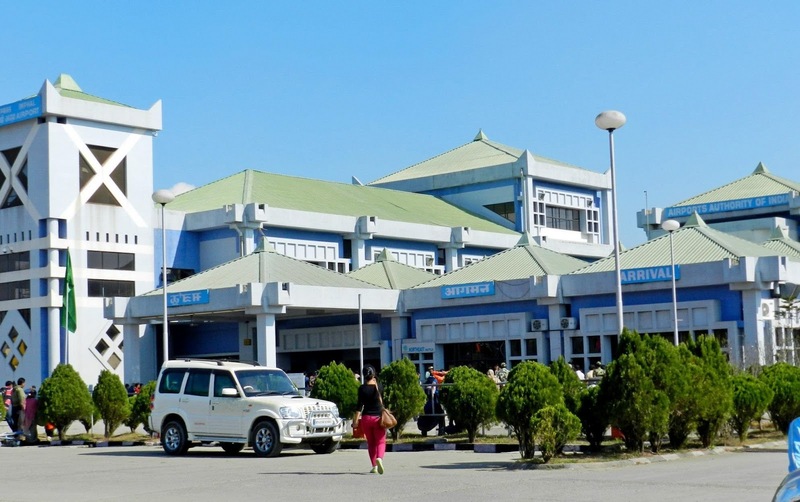 Agartala, Jun 6 : Imphal airport in Manipur would soon be notified as an international airport while Agartala airport in Tripura would have international standards by 2015, a top official said in Agartala on Thursday. The airports are being made international as part of India’s “Look East” policy to boost the North East region’s connectivity and trade with Southeast Asia. “Necessary upgradation works have been completed at Imphal airport. A proposal would soon be submitted before the Union cabinet to declare it as an international airport,” civil aviation secretary KN Shrivastava told reporters. Airports Authority of India (AAI) chairman VP Agrawal, who accompanied Shrivastava, said at a meeting in Agartala that Imphal airport would be declared an international one later this month. The meeting was attended by Tripura Chief Minister Manik Sarkar, his cabinet colleagues and senior officials. “After the declaration of Imphal and Agartala airports as international ones, air connectivity between the cities of northeast India and Myanmar, Bangladesh and other neighbouring countries would be easier and boost trade, tourism and people-to-people contact,” Shrivastava said. He said several other airports in the northeastern region are being developed to improve connectivity between the region, rest of India and the neighbouring countries. “To develop Agartala airport as an international one, Rs 250 crore would be invested and the project would be completed by 2015,” Shrivastava said. Currently, Guwahati airport is the only international airport in the northeastern region comprising eight states, including Sikkim. Since 2010, Bhutan’s Druk Airlines has been operating flights from Guwahati on the Bangkok-Guwahati-Paro (Bhutan) route once a week. According to officials, several aerobridges would be constructed and the current terminal buildings and apron areas of the existing Agartala airport would be four times larger in the proposed plan. He said private airlines IndiGo and Spice Jet have shown an interest to operate flights from Agartala to cities in Bangladesh. 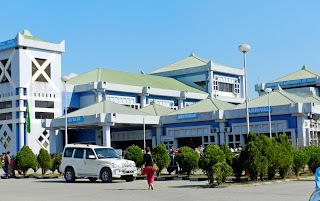 There are 11 operational airports in the North East, including Guwahati, Tezpur, Dibrugarh, Jorhat and Silchar in Assam, Dimapur in Nagaland, Agartala in Tripura, Aizawl in Mizoram, Imphal in Manipur and Barapani in Meghalaya. An official said that at least 12 new airports are expected to be operational in the near future in the region. “To develop five airports in the northeastern region, projects worth Rs 141.17 crore have been sanctioned recently on a 60:40 funding basis (60 percent by NEC and 40 percent by AAI),” the official added. The five airports include Guwahati, Imphal, Barapani, Jorhat and Dibrugarh.